Unless you live in an area that receives a steady stream of winter weather, you may very well find yourself unprepared in a winter weather situation when you're behind the wheel. News anchors and meteorologists will often encourage folks to stay off the roads during a winter weather event, but let's face it, some people just don't have that option. Healthcare professionals and many business people, as well as other employees, have to get to work, even when there is ice or snow on the ground. It is certainly possible to safely arrive at your destination after driving through winter weather. The trick, however, is to be prepared to drive in the current winter weather conditions you may be faced with. 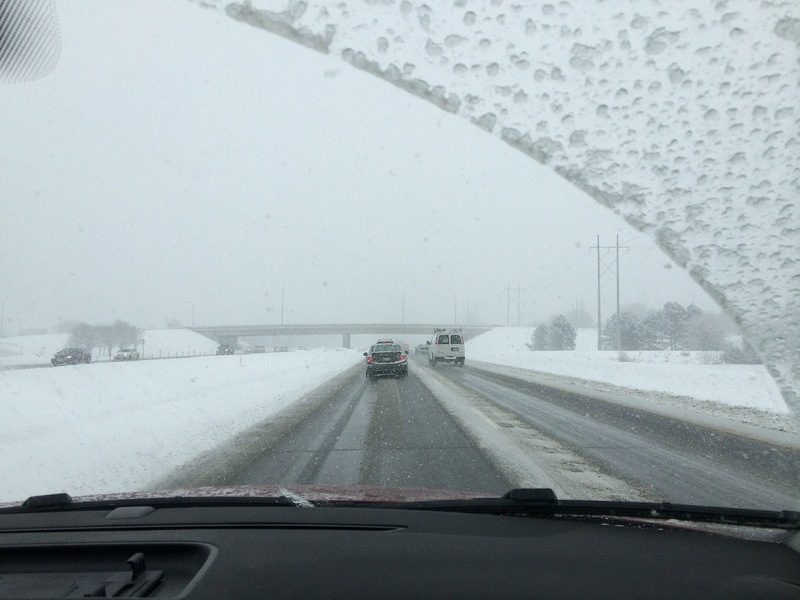 Let's look at a few important winter driving tips to consider and remember. No driver is automatically prepared to drive in snow, ice, freezing rain, blizzard-like winds, etc. Driving in winter weather can take some getting used to, and may even come as a shock or surprise if you live in an area which doesn't typically see or receive this type of weather. If you have to drive in inclement weather such as ice or snow, you must take the proper precautions to prepare yourself, and your vehicle. Don't think that just because you live in the south, that means you won't see a single snowflake during the winter. It happens everywhere, and given the colder than usual winters we've been having, it's sort of to be expected. Keep emergency items in your car year round. In the wintertime, add a secondary kit with extra food (non-perishable), bottled water, a warm blanket, and essential winter tools, such as an ice scraper, a pair of warm gloves, an extra phone charger, a flashlight, batteries, de-icer, and a small shovel. You can also keep a small bag of sand or salt to help give your vehicle a little traction if you get stuck. Make sure your tires are prepared for winter driving. One mistake many drivers make during the winter, is attempting to drive in winter weather with bald tires. This is a serious hazard, which can lead to accidents on the roadways. Check your tires before heading out on the road in snow or ice, or even if there is a threat of inclement winter weather and you have to be out driving in it. Make sure your tires have plenty of tread. You can do the penny trick to check to make sure that your tread hasn't worn down too much. If it has, you will want to have your tires replaced. You might even consider switching out to snow tires until the threat of snow and ice is gone for good. You can order your own tires on Amazon and have a garage put them on for you, or take your car to the dealership. The best thing you can do for yourself and others, aside from prepping your vehicle accordingly, is to keep an eye on the weather. Weather forecasts can change quickly, so it's really best to check it every hour or so to see if there have been any changes to the forecast. Try to find a local weather station, which monitors conditions in your area- check conditions where you live, where you work, and the space in between that you might be traveling through. If conditions worsen, you might consider just staying where you are or finding a safe place to wait out the winter weather until roads have been cleared and driving conditions improve. If you have to be out driving in snow or ice, just use your best judgment and be careful. Allow a lot of extra travel time, and give other drivers in front of you plenty of space on the road. Using common sense and giving other drivers ample space will help you stay safe, and will help others stay safe, too. Brought to you by Thompson Automotive.